We had great hopes of the Chionin temple, it was described as one of the must see sights to us. We walked through the massive Sanmon Gate to enter the grounds. 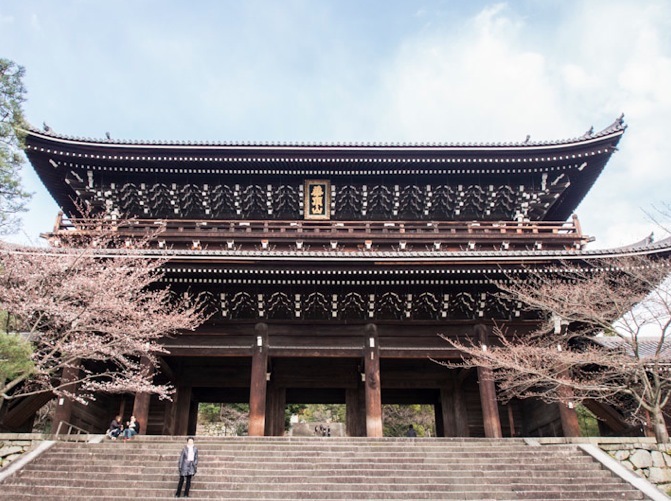 Standing 24 meters tall and 50 meters wide, it is the largest wooden gate in Japan and dates back to the early 1600s. Behind the gate a wide set of stairs leads to the main temple grounds. Unfortunately there is lots of construction going on. The main hall, the Miedo Hall, is undergoing major renovation works that fully started in 2012 and will last until March 2019. During the renovation works, the hall is covered by a large scaffolding structure and closed to visitors. It’s not a nice sight unfortunately. 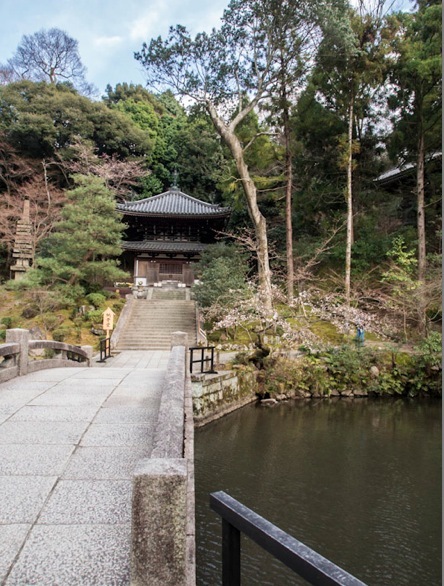 Still, we walked around the temple complex and found a small pond with a small building next to it. 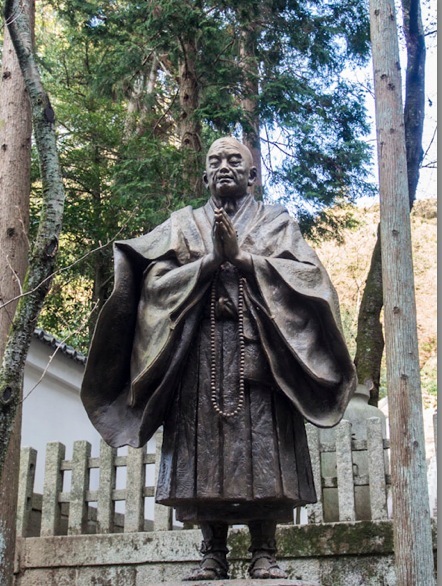 We kept walking around the back of the Miedo Hall, climbed a few steps and saw this nice statue – it was guarding the entrance to the cemetery. 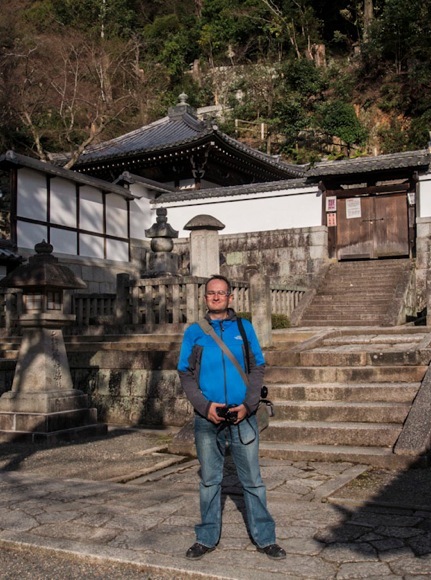 We strolled around a little bit, but the noise from the construction site was annoying – we had to leave the temple grounds and stroll back to Higashiyama.